Maidenhead to London City Airport - Only £80. Book Now ! London City Airport is an airport in London. It is located on a former Docklands site in the London Borough of Newham, some 6 NM (11 km; 6.9 mi) east of the City of London and a rather smaller distance east of Canary Wharf. In 2013, London City served over 3.3 million passengers, a 12% increase compared with 2012 and a record total for the airport. It was the fifth busiest airport in terms of passengers and aircraft movements serving the London area after Heathrow, Gatwick, Stansted and Luton and the 15th busiest in the UK. Please do not hesitate to book your airport taxi or shuttle transfers from London City Airport (LCY) to Maidenhead. 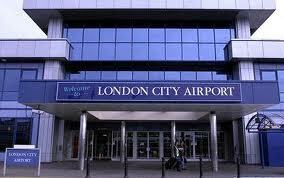 Our English speaking driver will wait for you at London City Airport (LCY) with a name sign. Our prices are fixed and include all costs. No hidden extras.